Crafted by teachers, myBlee Math covers kindergarten to sixth grade Math (5-12 year old children) with thousands of exercises, manipulatives, video lessons, and adaptive feedback, all aligned to Common Core, TEKS, and other high-quality standards. Progress in math requires attention, practice, and understanding. That’s why we’ve poured our passion into making the myBlee Math experience engaging and deep enough for all students, no matter their ability. 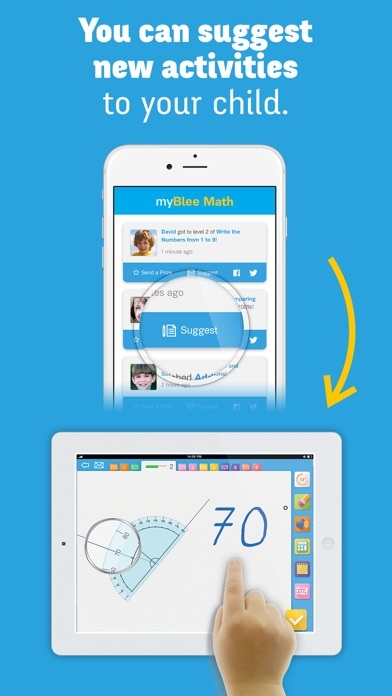 myBlee is used by hundreds of schools and thousands of families. Check our App Store reviews and see why they love us. We received recognition from worldwide respected education organization: UNESCO, SXSWedu, EdTech Europe, World Summit Awards, etc. But what we are most proud of is the feedback we receive from children, teachers, parents, schools and districts. Teacher Dashboard to track the progress of the full class and be able to better prepare classroom work. 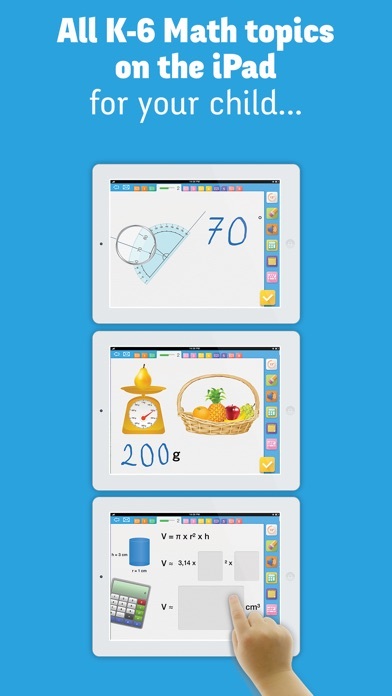 myBlee Math is FREE for 10 minutes every week. More use will require a subscription. In app subscriptions are available for those who need more time a week and there is a one-time fee for additional languages. 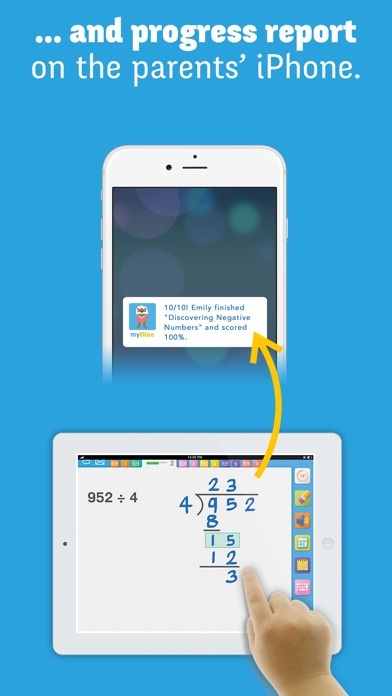 myBlee Math respects parents’ trust and promise there are no in-app advertisements and no other in-app purchases to distract from the learning. 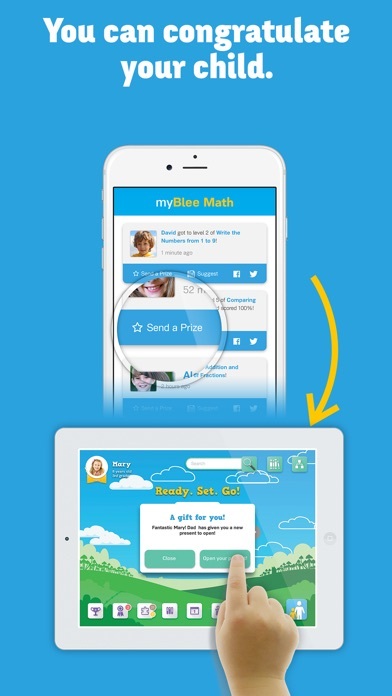 myBlee Math creates high-quality educational applications for elementary and middle school children. 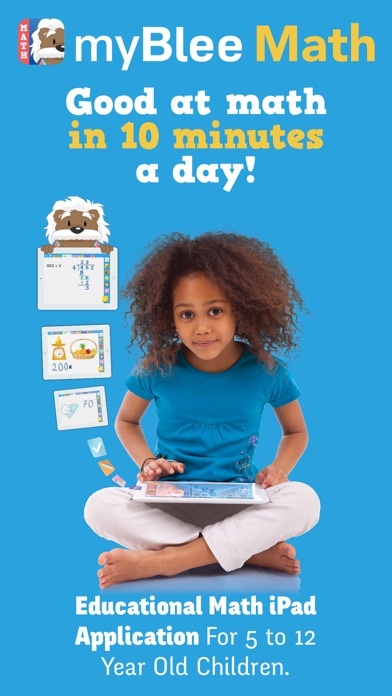 By recognizing a child’s handwriting and movements, the myBlee apps offer audio and visual guidance and corrections and can adapt by themselves to the knowledge and speed at which a child is progressing. myBlee Math is created by a team of experienced teachers and carefully tested with children to ensure that learning is always interactive, rewarding, and fun. myBlee Math is part of the LGM Learning group.